The very best live wedding bands in Dorset and the surrounding area, available to hire for any occasion. Our bands play ﻿upbeat, mainstream rock and pop music, 1950s rock'n'roll through to contemporary chart hits. Powerful and animated pop, rock and soul band serving the South West. Expect high-calibre musicianship and chart-topping covers from Pharrell, Ed Sheeran & Bruno Mars to keep the dancefloor moving non-stop! Larger line-ups, afternoon acoustic sets and DJ service available. The best rock and pop party band on the south coast, featuring male lead vocals and playing party anthems by The Beatles, Chic, Queen, Bruno Mars and more – guaranteed to have everybody on their feet! Available with DJ service. Dynamic DJ duo with years of experience filling dancefloors at weddings, parties and corporate functions for Boots, Tesco and Subway. One of our most popular South West wedding bands, The Crossfades serve up energetic, fun sets of vintage and modern rock, pop and indie music. Keyboardist, DJ service and solo acoustic set available. Upbeat and rousing new folk-infused acoustic pop band with joint male and female vocals – ideal for vintage and festival fans alike! 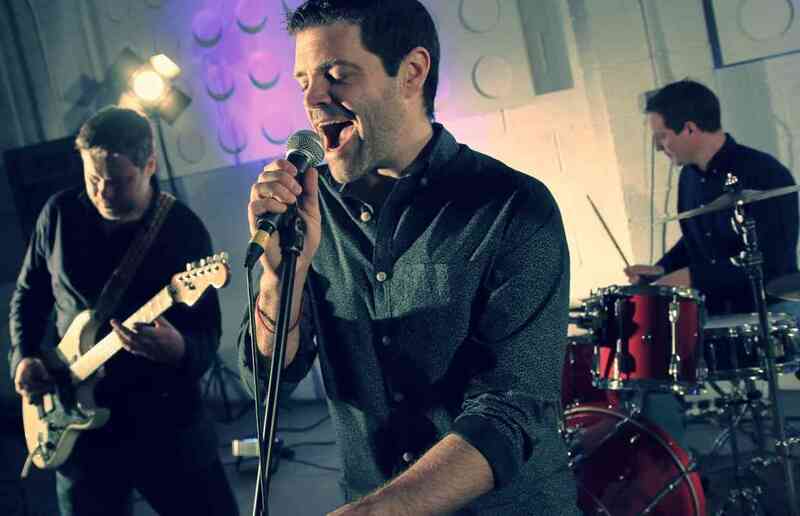 The band have won plaudits from modern folk hero Seth Lakeman, as well as featured on the BBC. Playing classics from the Stones to the Scissor Sisters, The Transformers are four genteel types who burst into life under the faintest glimmer of a spotlight! Upbeat acoustic pop trio playing old favourites by George Michael, Stevie Wonder and Michael Jackson, as well as brand new pop smash hits from the likes of Niall Horan, George Ezra and Ed Sheeran. Funky male-fronted party band mixing classic soul and modern chart. The band have performed on the BBC, and at Glastonbury and Bestival! Hire options include additional musicians, acoustic duo and DJ service. Young and vibrant guitar and vocal duo, playing big tunes across the decades with an emphasis on modern rock, pop and indie. Available in either acoustic (background) or electric (for wedding celebrations and parties) formats. DJ service also available. Low season and midweek discounts. Mellow acoustic duo playing an eclectic mix of material from Fleetwood Mac and Radiohead to Kylie Minogue and Whitney Houston. Excellent party band playing a range of music, from funk, soul, pop and Motown to jazz, swing and Gatsby. This band can provide live entertainment for your entire event! Additional musicians and afternoon sets also available. Female-fronted wedding and corporate party band playing a wide range of pop floor-fillers from across the decades. The band are fun, energising and amazing value for money! Brass, keyboards, DJ service and acoustic afternoon sets also offered. Multi-talented ceilidh and folk band playing a mix of traditional English, Celtic and Eastern European styles for any event whether foot stompin' evening parties or mellow afternoon sessions. Available with caller for ceilidh dances. Explosive and energetic Cuban band fronted by a fantastic female vocalist. One of the finest bands representatives of Cuban son, Latin and salsa music in the UK today! What sort of music do our Dorset wedding bands play? Whether you’re planning a lavish wedding extravaganza or a quiet ceremony for friends and family, Function Central has the right Dorset wedding band for you! We have live wedding music in Dorset to suit everyone's tastes, but typically our bands will play upbeat, mainstream rock and pop music 1950s rock'n'roll through to contemporary chart hits. Expect to hear songs by the Beatles, Stevie Wonder and Abba as well as newer hits by famous Dorset residents Madonna, Noel Gallagher and Billy Bragg! If you fancy something a bit more original, how about a Dorset jazz band or a ceilidh band? Our swing bands can be great for dancing, as well as creating a sophisticated backdrop for your photographs and drinks reception. Where do our Dorset wedding bands play? Our Dorset function bands don’t only play at weddings: why not hire a cover band to thank your employees for their hard work at the end of the year, or book a party band for a friend or relative. Want to hire a Dorset band, but worried about the price? Function Central’s price promise means you can hire excellent wedding musicians without denting your drinks budget. Our Dorset party bands can adjust to fit your wedding venue by adding members or changing their sound, scaling down to a duo for a tiny venue or adding backing vocalists and brass sections to fill an auditorium. If you haven't set your date yet, consider an off-season month or weekday wedding to get the best rates from all your suppliers. From the venue to the caterer, most suppliers (including wedding bands) will offer a discount for off-peak bookings.